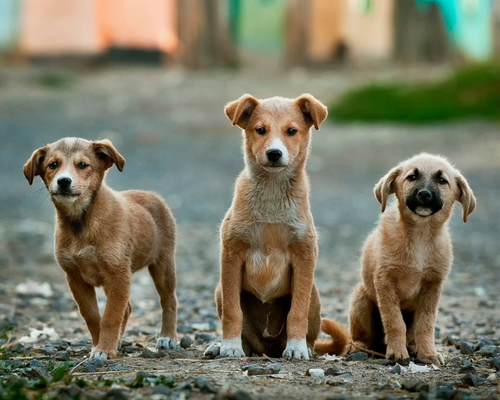 The adoption of street dogs has been taking on much larger proportions than it had a few years ago. What few people know and consider is that many of the puppies for adoption are purebred animals. There are all kinds of traumas that can be associated with the dogs we adopt, dealing with it is always a challenge, but the result is always amazing. 1. The rate of recurrence of abandonment is very high when adoption is not consciously done. When they realize that the puppy has the habit of gnawing furniture or they do their needs in the wrong place. Remember that a puppy requires a lot of time and energy to learn to live with the new human family. To provide them a good and happy environment to live in home, order dog accessories and healthy dog food at Zoo-Bio.co.uk. 2. Adopting an older dog may be the best option for an elderly person in a shelter. Older dogs are, as a rule, quieter than puppies. They have gone through bite phases and leaps of happiness. The older dogs that lived on the streets unfortunately have already had very difficult situations involving human beings and when they find a person who offers love to them certainly feel very grateful. 3. If you have other animals at home take care when taking a new street dog. First you should take the animal to a veterinarian to do all the exams, take all the vaccines, and only then should you contact the animal you have at home. 4. The same care applies to anyone who has children at home. Be very careful about presenting the puppy to your child. All caution is scarce; we do not know the history of the animal we are adopting. It is common for street pets to be afraid of children and fear can lead to any kind of aggressive behavior in self-defense. 5. Offer lots of love, but remember that the bad time in his life is gone by the time he met his family. Leave the past behind, the dog will surely do so by receiving the affection that his family has to receive. Many families who adopt dogs that have been abused end up not offering limits in the form of education. Poorly educated dogs tend to have behavioral problems and develop very serious anxiety disorders.